If you are looking for an affordable way to host your website, look no further than Software Island's Shared Web Hosting Services. We are offering our clients with complete Web Hosting Services, wherein individuals and organizations can make their own website accessible over the Internet. From shared web hosting to virtual private server (VPS) and dedicated server hosting, we assist our clients in obtaining hosting rights at market leading prices. 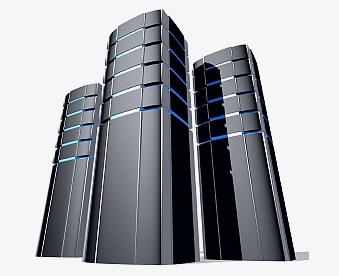 Our web hosting services are available as shared and dedicated solutions for large, medium and small businesses. We have a state-of-the-art infrastructure and technical support, coupled with our dedication towards attaining client satisfaction that allow us to ensure uptime for the client's online presence and overall web existence. Our web hosting services are security oriented, affordable and we provide mail hosting accounts for enabling quick and valuable feedback service. A primary requirement of web hosting services that we offer guarantee flawless functioning of the website. We also provide comprehensive solutions to all your web hosting related needs. We guarantee you an up time of 99.9% and also our technical team is waiting on you 24 x 7. If you are looking for quality and affordable website hosting solution, we are at your service.